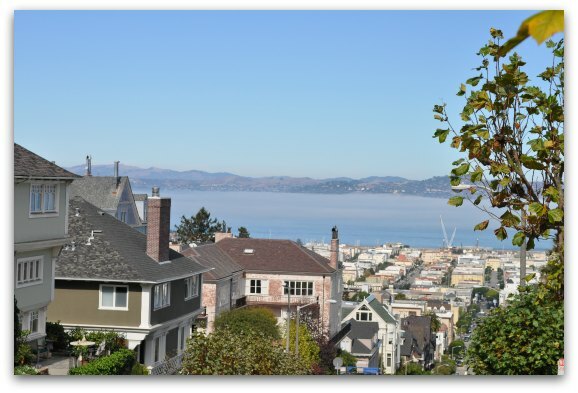 The Pacific Heights neighborhood is where I fell in love with San Francisco. Its beautiful gardens and gorgeous mansions reminded me of the SF I saw in movies or on TV. 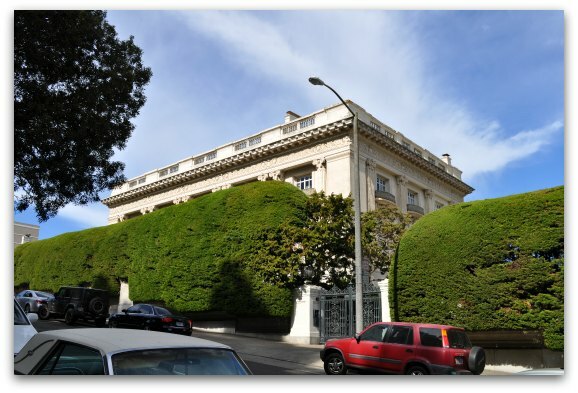 The famous author Danielle Steel calls the neighborhood home as well as many other San Francisco elites. You will also find the houses featured in the TV shows Party of Five and Full House. Spending the day in this neighborhood includes walking down Billionaires Row to see multi-million dollar houses, shopping at boutique stores on Fillmore Street and catching the amazing views from the Lyon Street steps. If you want to visit the Haas Lilienthal House, then I recommend taking this self-guided tour on Wednesday, Saturday or Sunday. If you decide not to stop here, or visit on an alternate day, you can start your journey earlier in the morning and spend a little more time shopping on Fillmore Street. Start your morning with a delicious breakfast at The Crepe House. They feature both savory and sweet crepes as well as salads and sandwiches. You can grab a seat inside or out. The dishes are large and will give you the fuel you need for today's journey around Pacific Heights. The Crepe House is on the corner of Polk and Washington Streets. After you finish breakfast, head up Washington Street to Lafayette Park. The city recently reworked this gorgeous park. My favorite thing to do here is walk the perimeter and admire the gorgeous houses all around. The best are on Washington and Gough Streets. The most famous is the Spreckles Mansion on the corner of Washington and Octavia. This white beauty is now Danielle Steel's home. As you walk by, take a quick peek inside the driveway gates to see all of their luxurious cars. 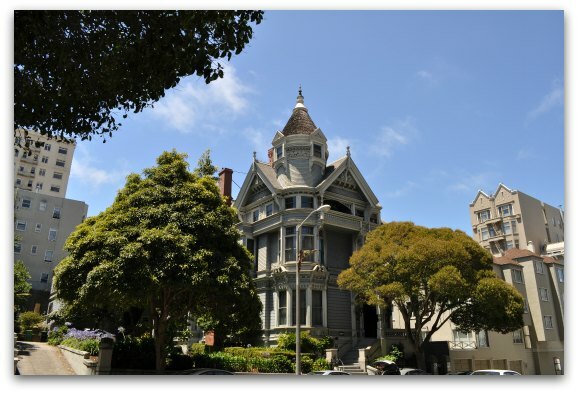 A tour of the Haas Lilienthal House offers you the chance to step inside one of these historic Victorian homes. 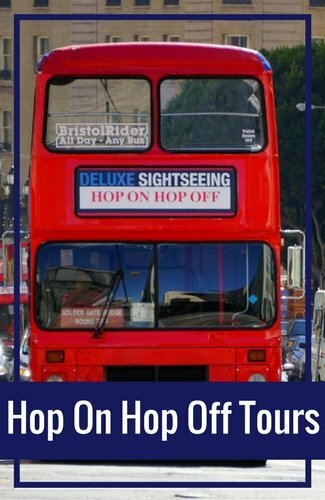 The only way to see the house is by going on one of their walking tours on Wednesday, Saturday or Sunday. Tours start every 30 minutes, so make sure you arrive as close to 12pm as possible. If you are late, you may be able to join a tour in session. If not, you may have to wait around for your tour to begin. A local merchant built this Queen Anne Victorian in 1886. Several people in the family lived here through the years. 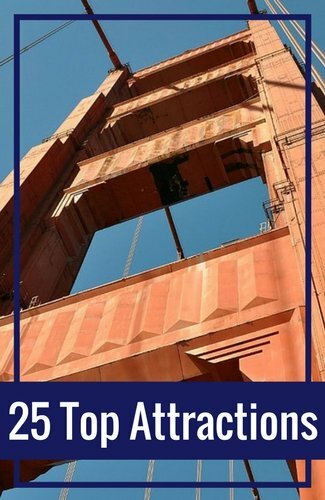 They gifted it to the San Francisco Architectural Heritage organization in 1972. This organization fixed it up for guests. They still own the house and do quite a bit to maintain its beauty. They also left the furniture that the family collected over their almost 100-year history in the house. As you walk through it, you will learn about the family, their history and quite a bit about San Francisco's historic Victorians. It's the perfect tour for history buffs. Click here for additional photos and information on what to expect during your visit. After you finish your tour of the Haas Lilienthal House, head over to Fillmore Street for some shopping and lunch. You will find more than two dozen shops here between Fillmore and Geary Streets. They offer items such as high-end skin care, jewelry and clothing. You will also find a couple of more affordable shops tucked in along the way. Once you finish shopping, head further into the neighborhood to Alta Vista Park. 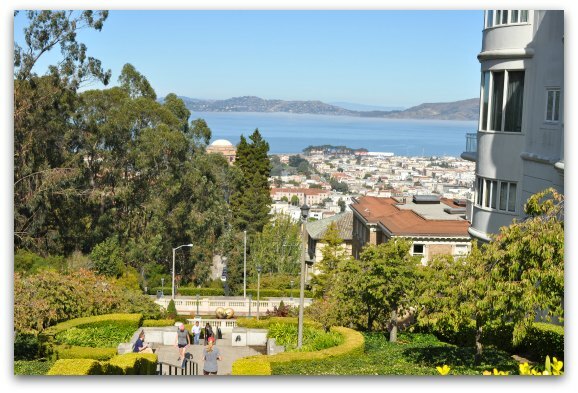 This neighborhood park offers amazing views of downtown San Francisco and other popular neighborhoods. Stand at the top of the stairs in the park on Steiner and Jackson Streets. From this angle, you can get some great views of the SF Bay including a small slice of Alcatraz Island. From the park, walk down Jackson Street and take a right at Divisadero. Climb two blocks to the corner of Broadway and Divisadero. It's a steep walk, so take your time. Once you reach Broadway Street, take a left. This is the start of what locals refer to as "Billionaire's Row." This three-block stretch on Broadway Street between Divisadero and Lyon Street features some of the most expensive homes in the entire Bay Area. Last time I visited this neighborhood, our tour guide mentioned that one of the homes was on the market for more than $35 million. I'm not sure if it ever sold, but it gives you are idea of what the property is worth in this part of San Francisco. At the end of Billionaire's Row is another one of my favorite places in the city, the Lyon Street stairs. These beautifully maintained stairs feature a gorgeous garden as well as one of the "Hearts of San Francisco." The local property owners take care of it and locals love to come here for their daily workouts. In addition to the beauty of the stairs, it offers another great place for gorgeous views of the SF Bay and the Palace of Fine Arts. Option #1: You can walk down the stairs, which will put you on the western side of the Marina District. One of my favorite, off the beaten path restaurants called Liverpool Lil's is just a couple of blocks away on Lyon Street. This old-time English pub offers a great drink selection as well as comfort food such as Macaroni and Cheese, Steak Frites and Shepard's Pie. You can also snack on Beer Battered Fish and Chips or the Grilled Balsamic Portobello Mushroom Sandwich. I love the fact that they also have a little bit of seating outside. I also love sitting in their bar area where you can grab some food and watch local sporting events on TV. Option #2: Walk a block down the Lyon Street Stairs and admire its beauty. Climb back up the stairs and make your way back to Fillmore Street for dinner and/or drinks. One of my favorites on Fillmore Street is the Elite Cafe. It serves up some of the best southern food in the city. You MUST start your meal out with some of their homemade biscuits. They come out warm and after you add a little butter, they simply melt in your mouth! If you love deviled eggs, you also HAVE to order some to share with the table. They are creamy and delicious! My other favorites on their menu include their Jambalaya, the Braised Beef Brisket and the Butternut Squash & Cheese Ravioli. Really, you can't go wrong with any item on their menu. 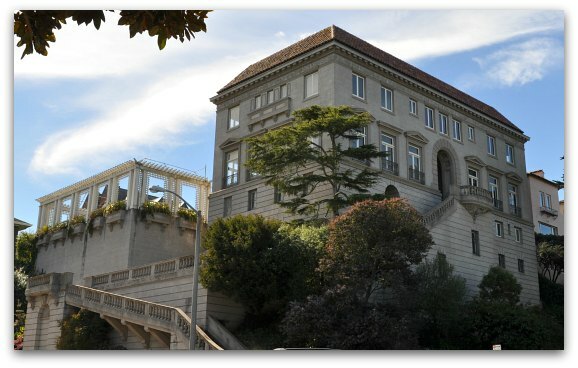 Click here for a downloadable version of The Perfect Day in Pacific Heights walking tour. The easiest way to get to The Crepe House from Union Square is the take the California Cable Car line. Pick it up on California Street at Grant Avenue. Take it to the stop at California and Polk Streets. From here, walk three blocks north to Washington Street where you will find The Crepe House. From Fisherman's Wharf, you will take the 47 bus. Pick it up on the corner of North Point and Jones Streets. Take it to the stop on Van Ness Avenue and Jackson Street. Walk two blocks to Washington and Polk Streets. 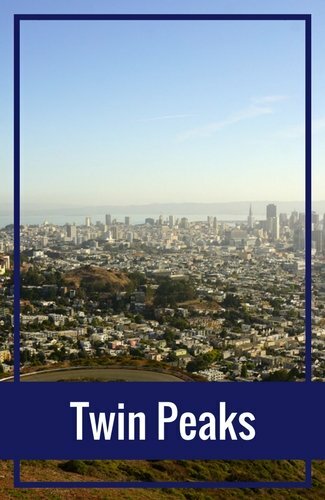 You will also find a handful of additional things to do in Pacific Heights. 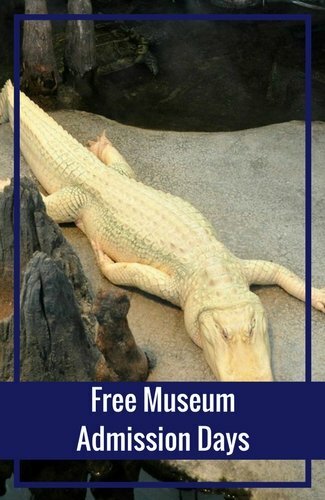 Click here for a list of all the top attractions in this neighborhood as well as other places I love to eat during my visits. My favorite way to save money on tour and event tickets is through an online retailer called Goldstar. They work directly with local companies to help them sell through their tickets as an event approaches. 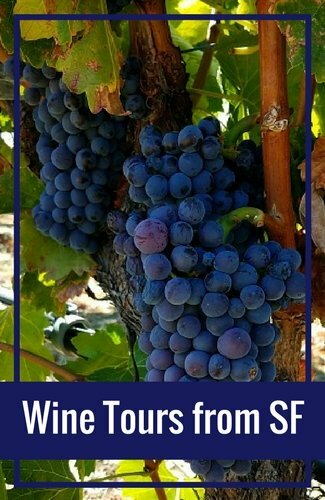 On any given day, they offer tickets at up to half off for almost 200 events and tours in the Bay Area. 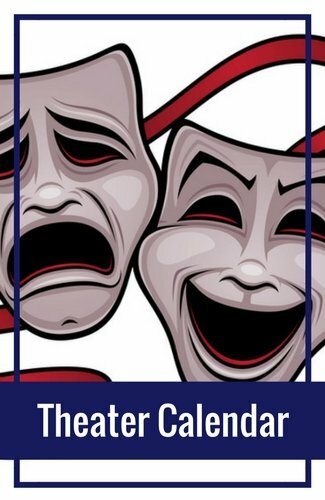 I use them often to buy tickets to theater performances, bay cruises and walking tours. 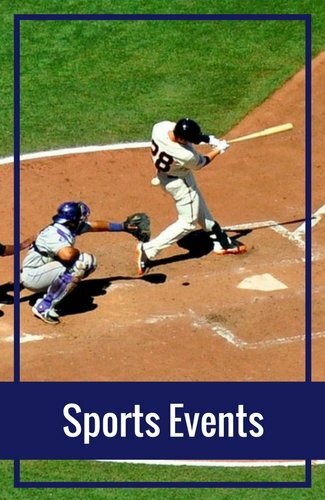 Click here to find out today's hot deal and the other great tickets for sale on their site. Also, make sure you check back often as they update their site with new deals every day!